Scottish inventor and mechanic Alexander Bain produced the first fax machine in 1843 a few years after the successful invention of the telegraph machine by Samuel Morse. Using scrap pieces of clockwork, he was able to build a device that created reproductions of images that could be transferred over the electric telegraph wire. Yet, its faulty design and approach to inking paper led to incomplete documents being produced (Terras 2008, p.17). So overtime, as the machine’s presence slowly began to spread, other scientists took notice and stepped in to create the improvements it needed; with English physicist Frederick Bakewell polishing the machine’s transmission process in 1851 (Terras 2008, p.17) and Italian physicist Giovanni Caselli’s improvements on timing in 1862. (Salomon 2007, p.84) With these enhancements, this new piece of technology served as an upgrade from the strictly auditory transmissions of Morse’s telegraph by allowing visual components to be successfully submitted over long distances as well. It was then throughout the 1980’s, in the world of business and study, the fax machine started to become more widely recognized as a simple way to transfer documents from one location to the next. It’s instructions were rather straightforward: Through the click of a button, papers could automatically be scanned and submitted to any number of recipients you desired – granted you already had their fax numbers ready, of course (Coopersmith 2015, pp.7-8). But as many years passed, and its glory days of were done and dusted, the fax machine is now believed by many to be considered an ancient piece of technology. Upgrades are being released less frequently as newer technologies allow more accessibility and features than ever before. So consumers nowadays begin to ponder on when the fax machine’s extinction will finally arrive (John Hopkins University Press 2015). However, that’s not to say that the fax machine presents no value. The simplicity in its purpose makes it easier for us to pick apart the machine’s structure and analyze how its overall process works to achieve its goals. In order for documents to be transmitted over in the first place, there needs to be a line of communication between the two devices. The way that fax machines communicate with one another is that one device sends bits of encrypted code over a telephone line to inform the other of a document that is about to be received (Sehgal 2008, p. 136). Much like how we exchange text messages between friends when we want to meet up. But this process doesn’t always come without problems. Throughout our class activities, we learned that the fax machine’s digital functions could be replicated through an Analogue Coding exercise, a form of communication designed to give an alternative representation of an idea or image (Woodford 2010). During the tutorial task undertaken within the second week of the semester, titled ‘The Human Fax Machine’, classmates were organised into three groups and were made to agree on a coding system that would be represented through a series of sounds. Group members were then divided into sub-groups consisting of encoders and decoders. The decoders were instructed to form a simple image based on a message the encoders were told to send over – similar to how Bain’s model of the fax machine reproduced visual aspects of the real-world through a series of sketch drawings (Terras 2008, p.17). Our assigned group insisted on gathering a variety of sounds from different sources to make it easier to differentiate between signals being sent. Ringing bells, clapping hands, tapping pencils, and meowing – each sound represented either a letter of the alphabet, a space or a need for a sound to be repeated. As the task began, the communication started off smoothly as our group of decoders managed to form out the first word of the message with ease. Yet, as the process continued, it became evident that miscommunication was an arising issue. We had to recognize and interpret sounds quickly above the layers of sound coming from nearby groups. Just like how fax machines can become overloaded when too many processes are taking place at once. Not only did this task create a personified version of the fax machine communication process, but it also showed us how sounds from the real world can be used as a form of encrypted coding and communication – a skill that most of us had little practice in. So it’s obvious why we ran into mistakes during the task. For starters, this exercise required an excellent amount of concentration and a specific level of fluency in the code being transmitted. One factor that contributed to the miscommunication was the lack of visual indicators to accompany the sound signals being transmitted, much like modern-day computers. This exercise is also very similar to how the first week’s task only allowed us to rely on visual indicators. Reflecting back on this, we were required to reenact telegraphic communication using the balcony outside our classroom. Just like the Human Fax Machine task, coders needed to get a message across to a group of decoders who stood at a distance below the balcony. Even though one major element of the task had been changed, it still produced a similar result of confusion and miscommunication from classmates. So as text messaging restricts us from perceiving facial expressions, tones and body language gestures, analogue coding is limited to a reliance on auditory or visual senses to interpret the hidden messages being sent. 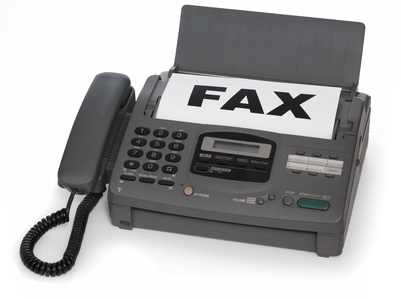 Fax machines are required to communicate using these kinds of encrypted signals in order to send documents from one party to the next. Any factor or fault that presents itself, whether it is jammed papers or technological failures, would cause an interruption with the process that needs resolution – just like how the miscommunication in the task stopped us from understanding the rest of the code we needed to know.